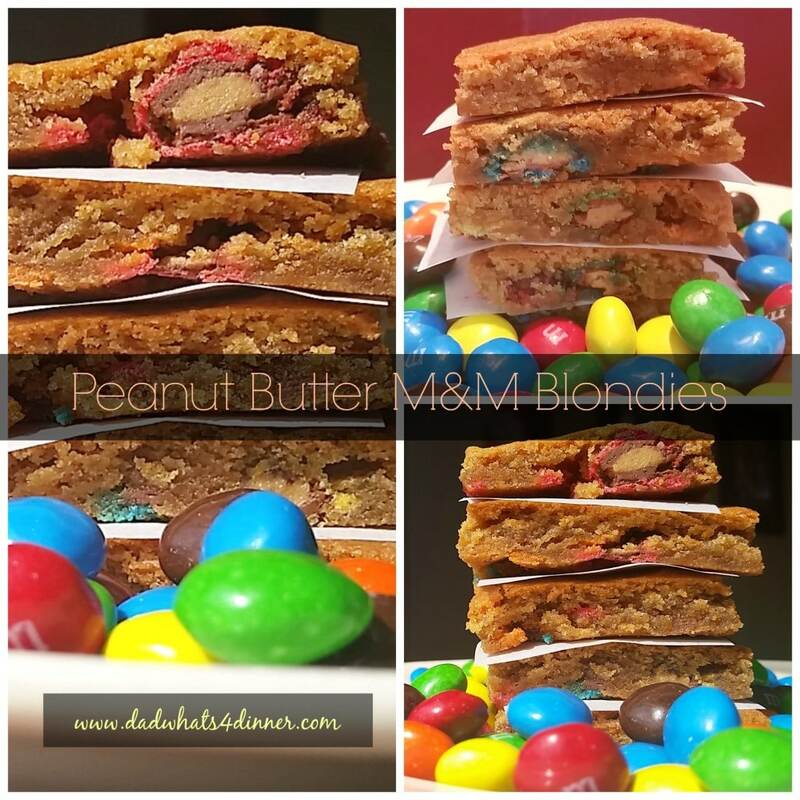 Peanut Butter M and M Blondies take the wonderful little candy to a whole new level. Quick, easy and fun to eat. If you are in need of a quick last-minute treat to take to a cookout or potluck, this is for you. 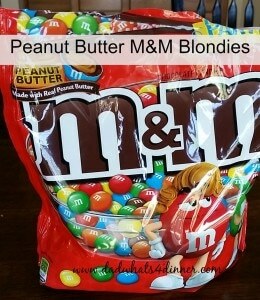 I love Peanut Butter M & M’s. Peanut M & M’s used to be my favorite until they started making these. They add a nice crunch and little more peanut butter flavor and that can’t be all bad. I picked up a new pan at GFS this week. It is a 1/4 sheet pan. Perfect size for brownie or bar recipes. The recipe is simple and can be made in under an hour. Preheat oven to 350° F. Grease an 8-inch square or 1/4 sheet baking pan. In a large mixing bowl, cream together the peanut butter and butter. Add the eggs, brown sugar, vanilla and marshmallow fluff. Beat until light and fluffy. In a separate bowl, combine flour, baking powder, and salt. Add flour mix to the butter mixture and mix until well blended. Stir in M & M’s. Spread batter evenly into pan and bake for 20 to 25 minutes or until toothpick comes out clean. Let cool on wire rack and cut into 2 inch squares. 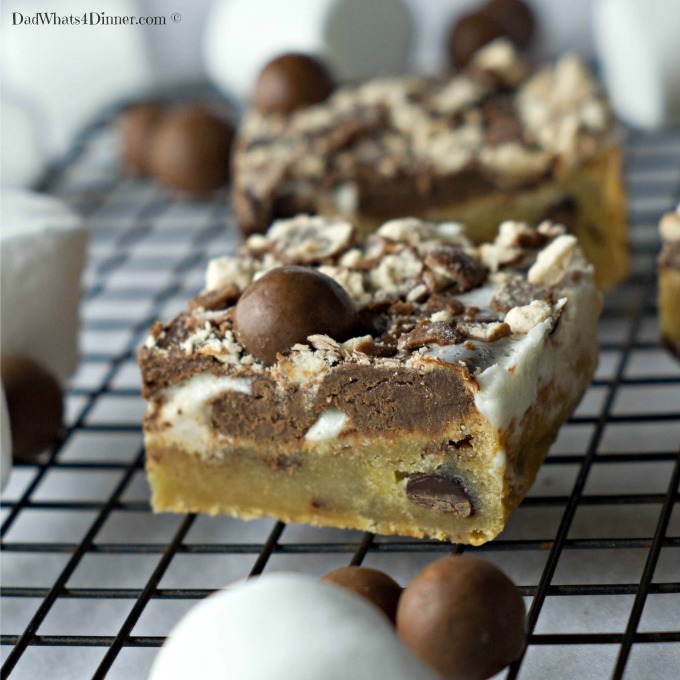 I will be bringing my Peanut Butter M and M Blondies recipe to Freedom Fridays, Friday Favorites, Fiesta Friday, Weekend Potluck, What’s Cooking Wednesdays. Checkout my Link Parties page for other great places to find new recipes. 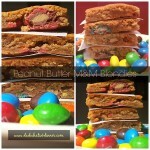 Peanut Butter M and M Blondies take the wonderful little candy to a whole new level. 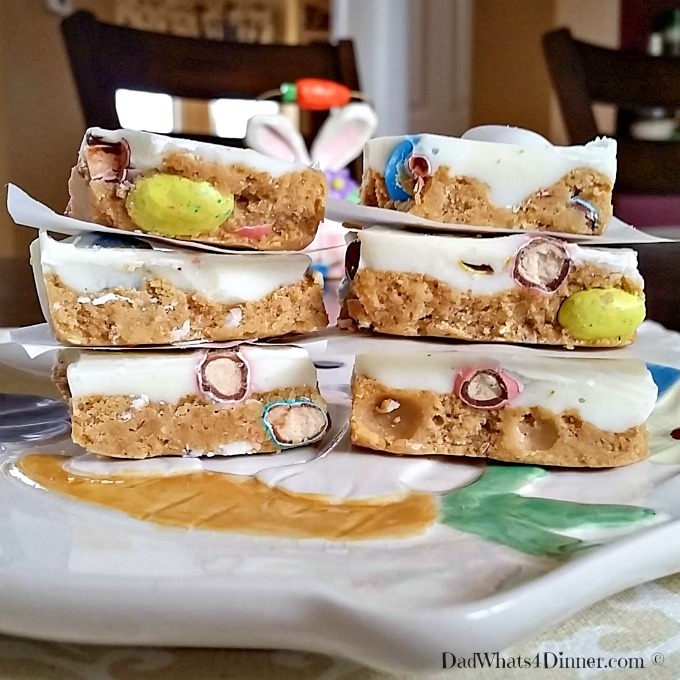 Quick, easy and fun to eat. Preheat oven to 350° F. Grease an 8-inch square or 1/4 sheet baking pan. In a large mixing bowl, cream together the peanut butter and butter. Add the eggs, brown sugar, vanilla and marshmallow fluff. Beat until light and fluffy. Add flour mix to the butter mixture and mix until well blended. Stir in M & M's. Spread batter evenly into pan and bake for 20 to 25 minutes or until toothpick comes out clean. Let cool on wire rack and cut into 2 inch squares. Ah, heaven in a tray! I honestly didn’t know there was a difference between peanut and peanut butter M&Ms. These sound tasty, and I love the bright colors! Have a great weekend!! Love peanut butter! My husband would think he’s died and gone to heaven with these bars. A new pan. Woohoo! I love new kitchen toys. Thanks Susan. They are easy and yummy. Thanks for pinning. Happy FF! ! Happy Fiesta Friday, Quinn! These sound so great – all my favorite flavors! I checked out GFS, your link for the sheet pan and got lost for awhile there! 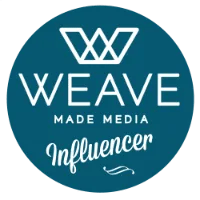 I loved reading about all the restaurant trends and how restaurants can cater to boomers, GenX and Millennials and what’s hot now! Havent talk to you all week. I was very busy. Got an idea I want to run by you. I will send you an email soon. How is twitter going? Quinn Happy FF!! It’s been fun! And I haven’t really worked on twitter – I’ve been meaning to, though! 🙂 And I will! I’ll look forward to hearing it! Being my husband works for Mars, I’d better try this recipe soon! Those bars look amazing! M&M’s are my favorite go too snack when I just want a bit of sweet. Yum! My husband loves any dessert with peanut butter in it, so I’ll try this version next time instead of my usual blondie recipe.